Being a mobile and social employee recognition platform, here at Tap My Back we like to focus our attention on millennials and how to motivate them at the workplace. By next year, millennials will account 36% of the U.S. workforce, and by 2020, millennials will be half of all workers. Studies say most of them are not engaged in the companies, so how can we motivate them? Here some ways to do it. Millennials have different needs when it comes to personal and social life. They are more likely to have low motivation when they are working in a rigid 9 to 5 schedule, every single day. See how they perform better and don’t be afraid to be flexible. Let them do their own schedule or even work at home. You’ll probably be surprised by the increase in productivity you’ll see. See a Millennial watching a YouTube video or browsing Instagram at work? Don’t worry, it’s just how they relax and has nothing to do with being lazy or unprofessional. Millennials are eager to learn. They are constantly absorbing huge amounts of information online and via multiple channels. They are great multitaskers and learn fast. Very fast! Invest in their training and let them try new things. They want professional development and that’s a key factor for millennial talent retention. Millennials may seem a generation that doesn’t like responsibility but it’s all looks. If you want to motivate a millennial you have to give them tasks where they feel some kind of ownership. They want to make decisions and they like to take risks. Don’t think that by giving them responsibility you should leave them alone to take all decisions and to learn everything by themselves. On the contrary! Millennials have a special need for guidance and for having a mentor that they can look up to. 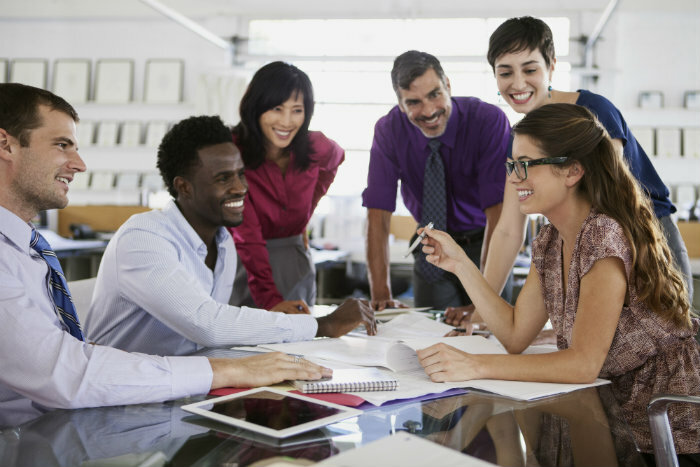 Partner them with top performers and you’ll see a great boost in productivity and morale. They were born digital, connected and fast-paced. They learn about new technologies every day and they know how to use it to solve problems. Talk to them to know if they can help in any task with their technological skills and know how. They will feel appreciated for their skills and you’ll get problems solved in very creative ways. Millennials expect more than just salary. The value paid lunch, health benefits and tangible rewards for their efforts. Stock options for startups are also a great incentive to engage recent grad employees. When basic compensation expectations are met, then recognition takes charge. If they are satisfied with their salary, you’ll probably get more motivation and productivity by giving them public recognition for their work, then by doing an upgrade in their paycheck. By now, you are probably thinking «This motivation techniques should be done not only for millennials but for all employees!». You know what? That’s absolutely true. Millennials are regular people and more importantly, each person is unique and has different needs. For a leader to motivate employees, he or she has to know them on a personal level and understand what kind of person is behind the employee tag number. That’s the secret to staff motivation: to forget about the word staff and substitute it by the words human being. If you do that, maybe you won’t get this kind of numbers between how Millennials see themselves and how HR Professionals see them. Want to test our team motivation feature for free? Just click here, create your team and start our employee engagement program.